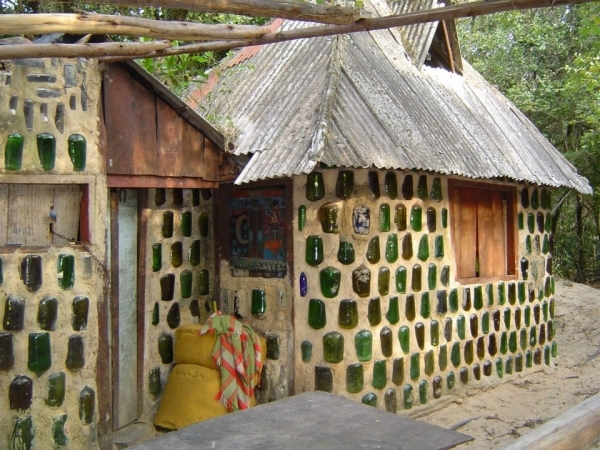 Glass bottles are a very common feature of our daily life. 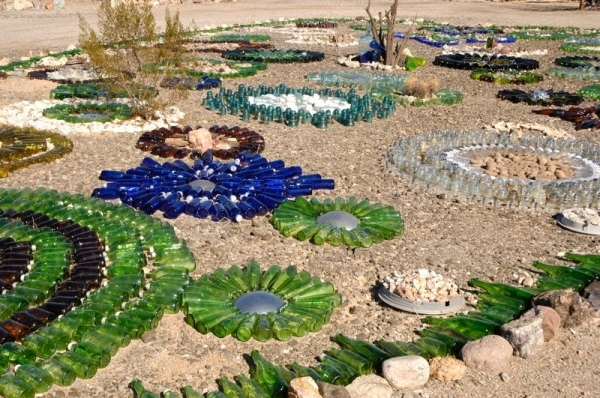 We come across a number of plastic bottles when we buy some carbonated drinks or some other beverages of our choice. These glass bottles contain these beverages most of the time. But when the drink is finished we just care to trash them out. 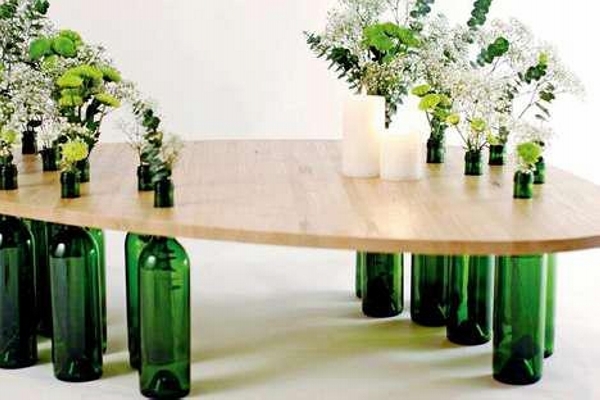 Try to give them a whole new dimension, think of some ingenious ways to recycle these glass bottles. 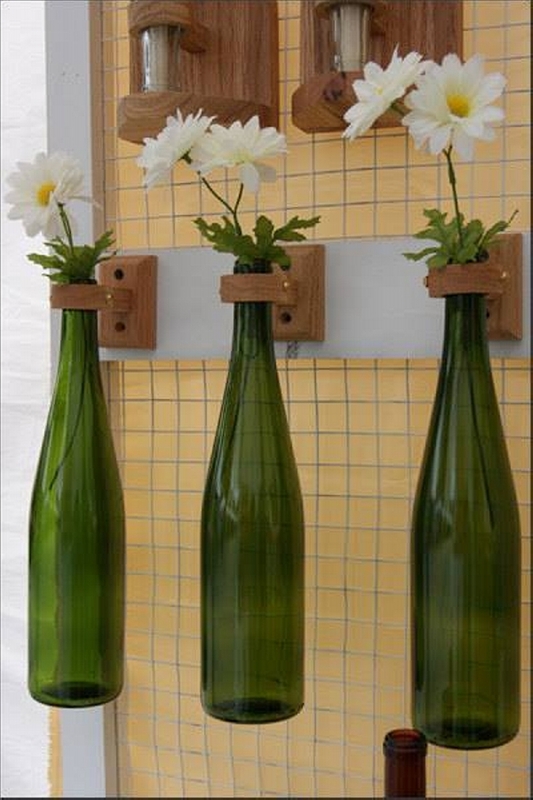 Like here in this ingenious idea the ordinary glass bottles are crossed from a wooden sheet and turned into unique vases. 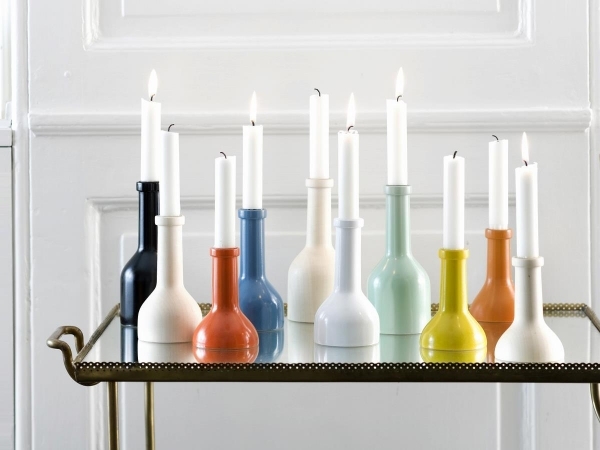 We frequently see the candle stands in our daily life. 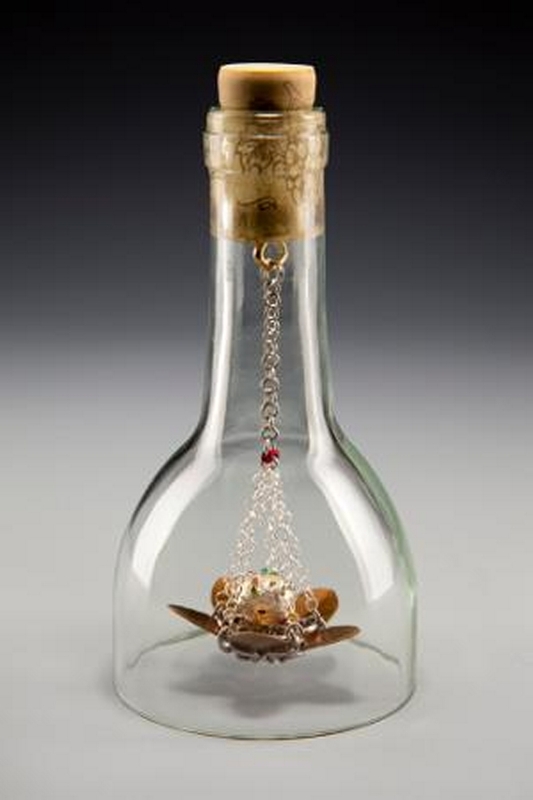 Though the candles are not used primarily with the intention to obtain some light in the age of electricity but mostly they are used as enchanters and mood enhancers. 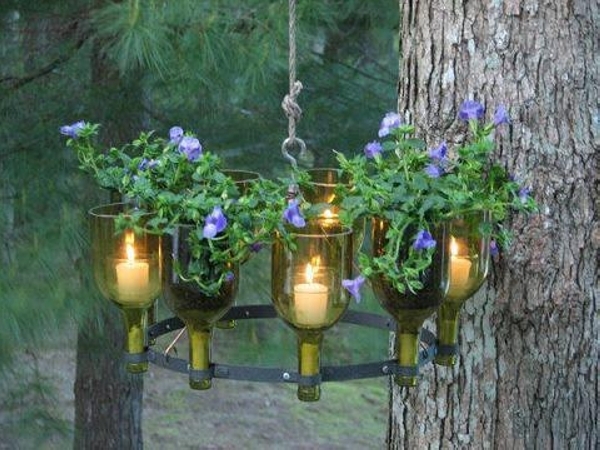 We use them in candle light dinners and while having a bath. 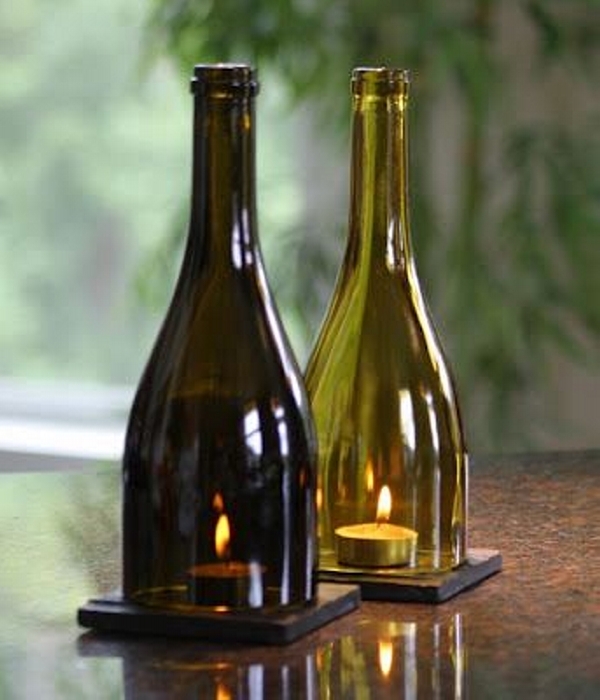 Here the glass bottles are recycled to some extra ordinarily stylish candle stands in such an ingenious way. 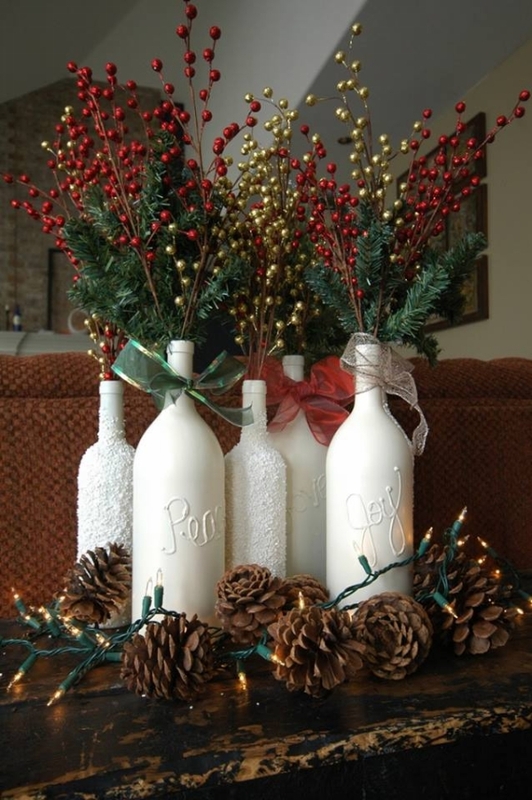 The upper portions of glass bottles are just cut and painted differently and candles are fixed into their mouths. 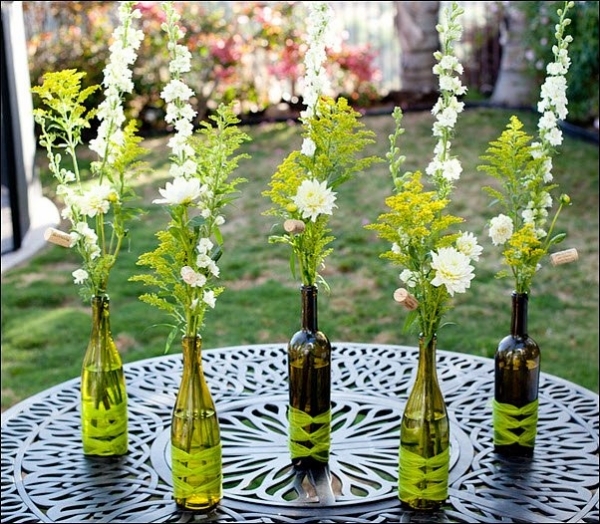 Place them on your center table or wherever you want them to be. 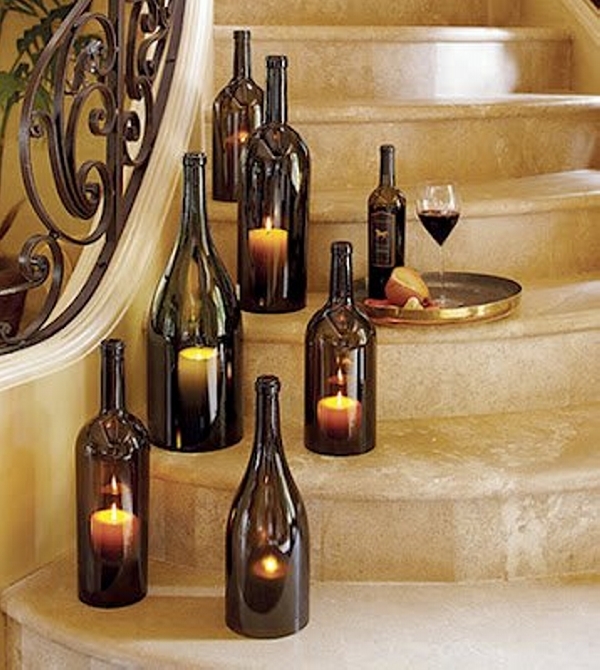 As we discussed earlier that candles are used mostly as mood enhancers in our daily life. 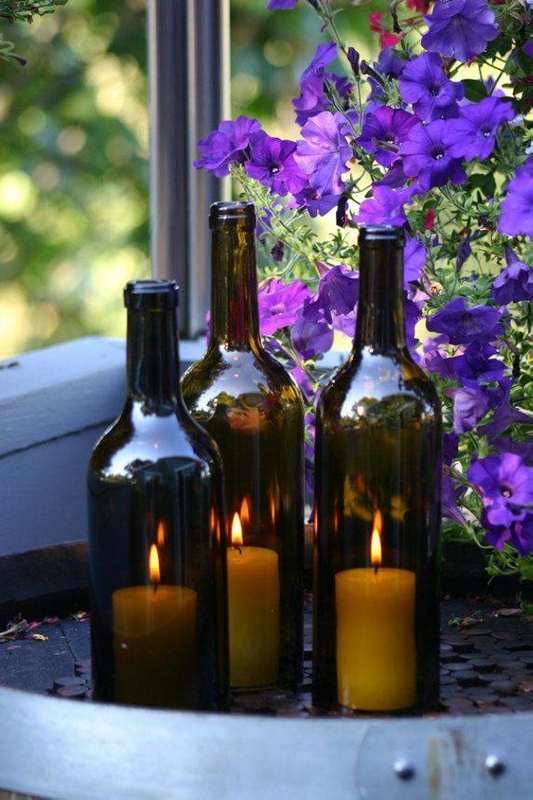 If you want to create some extra ordinarily romantic atmosphere right at your home, you can use these glass bottles employing some great ingenious ideas to turn them into stylish candle containers. 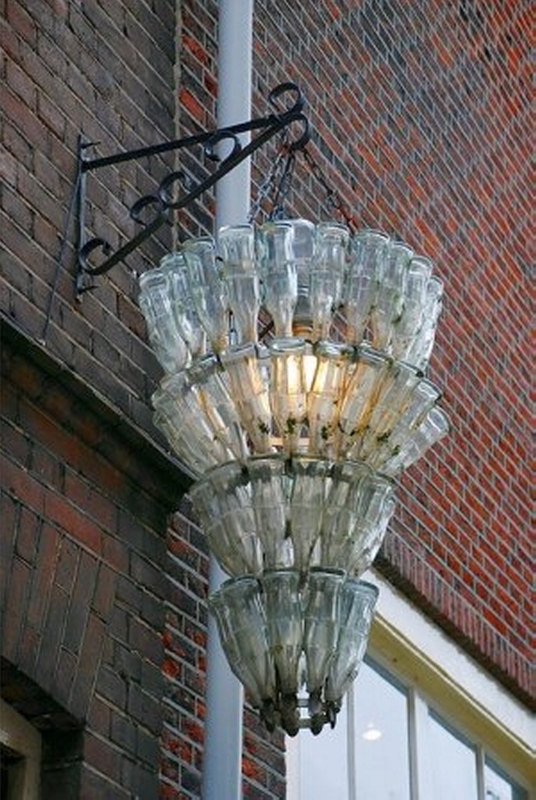 As here we can see, the bottom of the glass bottles is removed very skillfully and then the mere glass bottles are placed onto these burning candles. This is just a way to show your consent towards your partner or a cherishing signal. 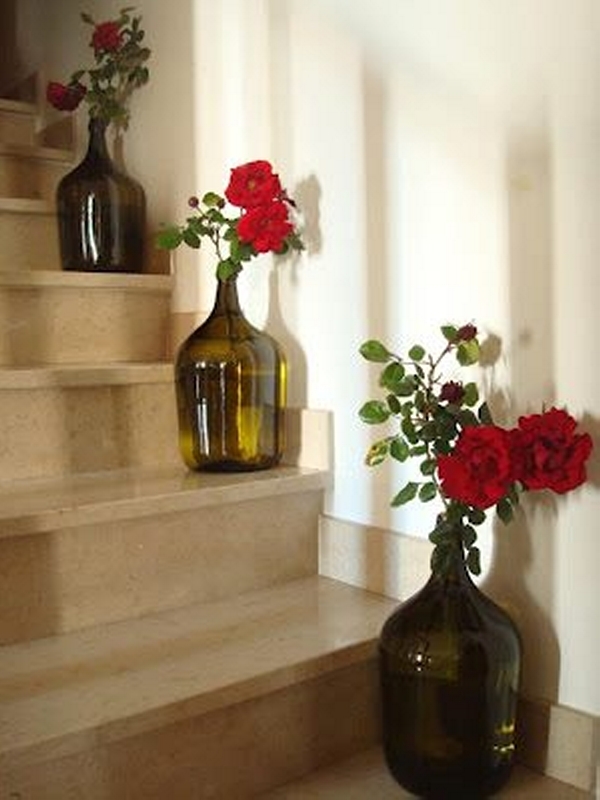 Place them on the stairs to welcome your partner in a ingenious way. 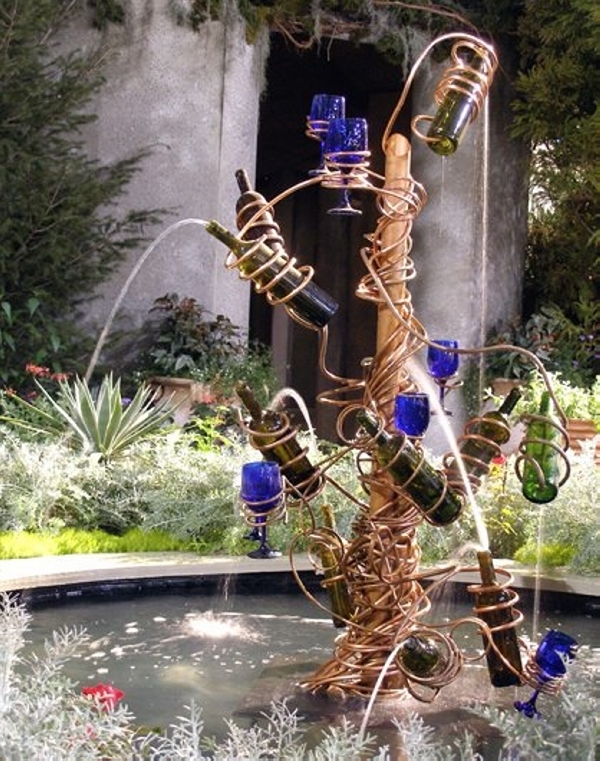 A water fountain is a real source of inspiration and constant beauty in any garden or a patio. 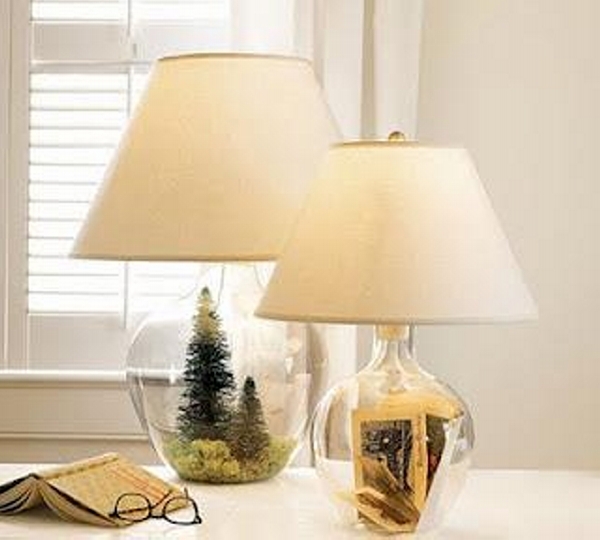 It clearly reflects your aesthetic sense and your love and inclination towards the art and crafts. 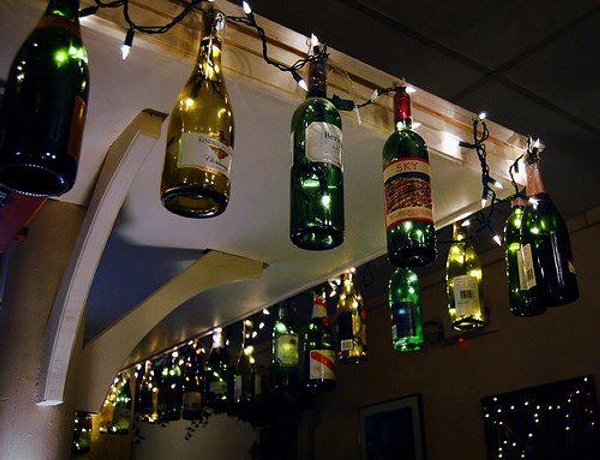 If you are having a bunch of spare glass bottles just try to use them in any insane ingenious idea that gives you pleasure. 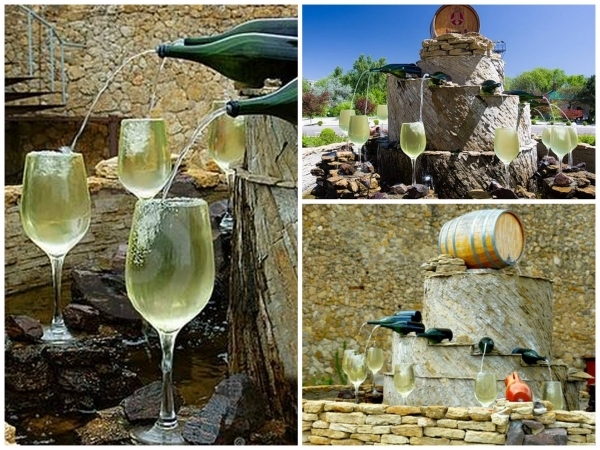 Like in this idea, the glass bottles are used as fountain showers to enhance the speed of water flow. 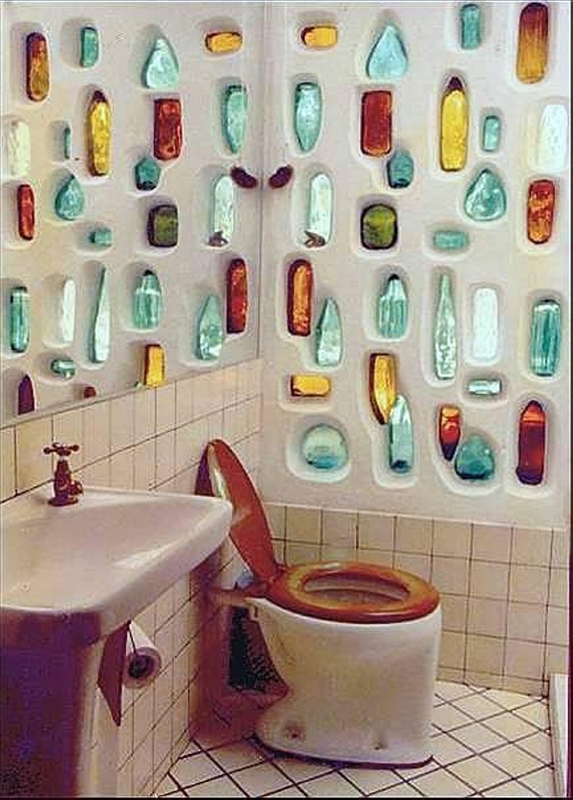 Another extra ordinarily ingenious way in which you can show your insane instinct towards art and crafts using ordinary glass bottles. 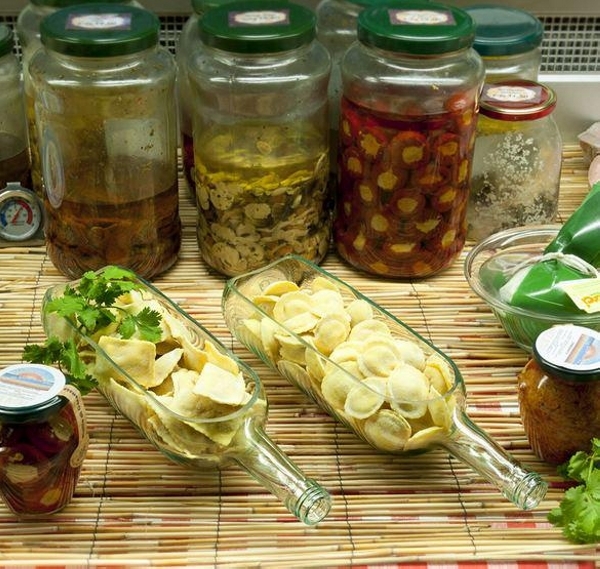 Mason jars are used to preserve mostly the perishable food items in our homes and kitchens. 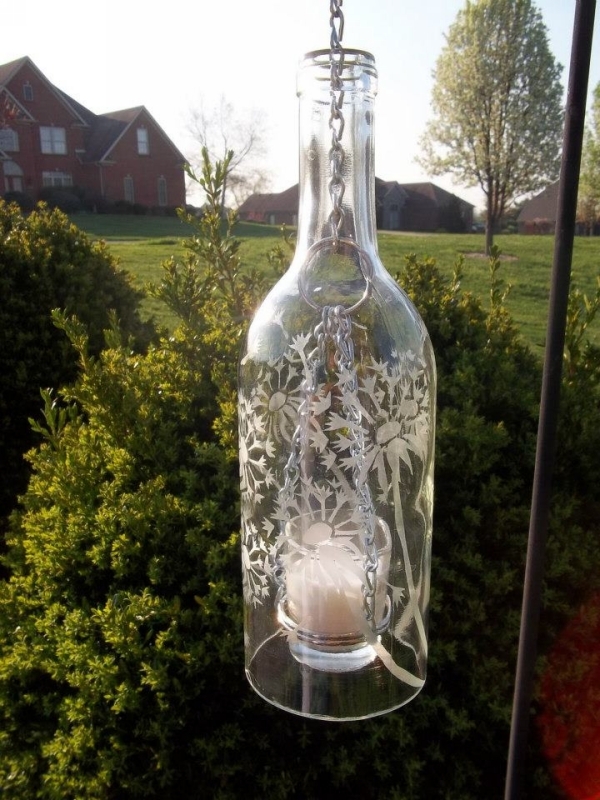 Any glass object that is designed accordingly can trigger the beauty of your interior. 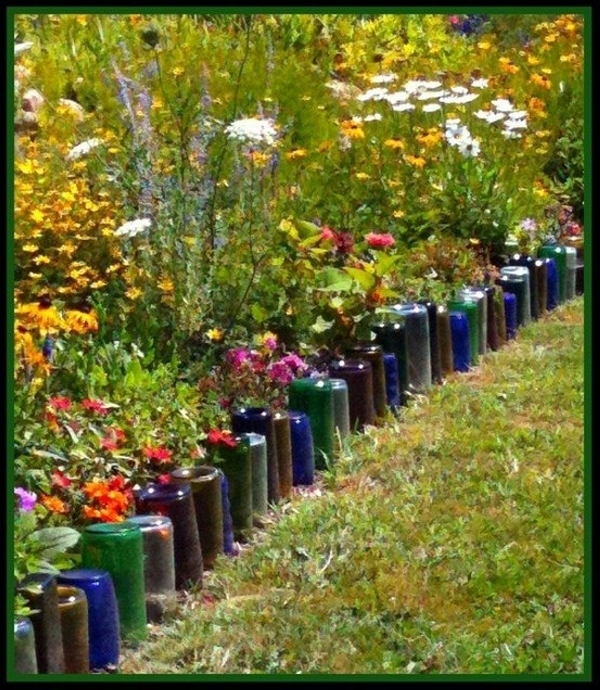 So keeping in view the fact, the same glass bottles are turned in stylish pickle jars. 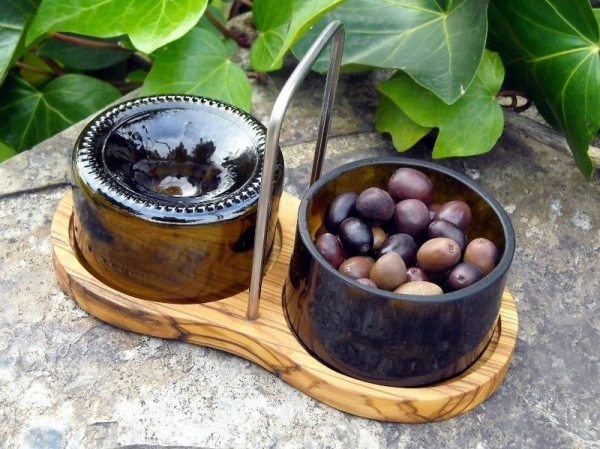 The glass bottles are cut entirely from one side making it look like a rectangular container and then they are filled with some dry pickle to be served on your dining table. 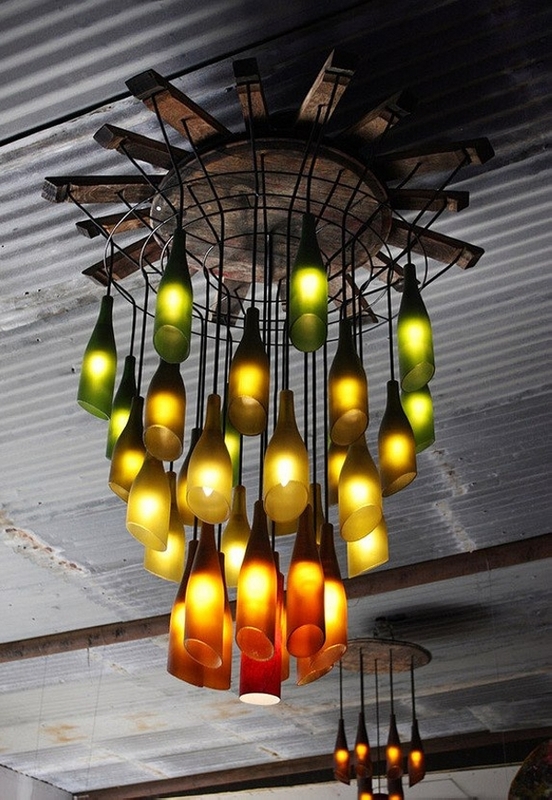 It takes nothing to employ some ingenious ideas except some dumped house hold stuff like glass bottles and your innovation for sure. 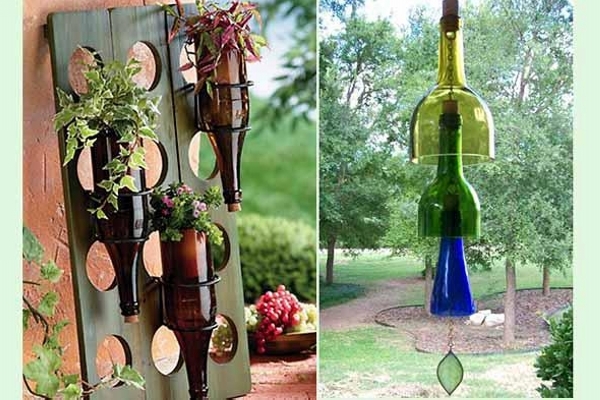 Last but not the least here is a smart ingenious idea where the old wine bottles along with their wooden corks are turned into planters and fixed in a vertical garden. 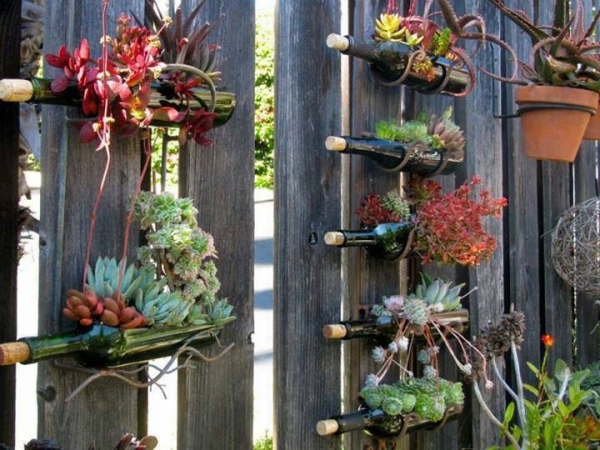 As the whole of vertical garden is recycled with the wooden pallet planks, plus it is further beautified using the old glass bottles and turned into pretty appealing planters along with a couple of pots. 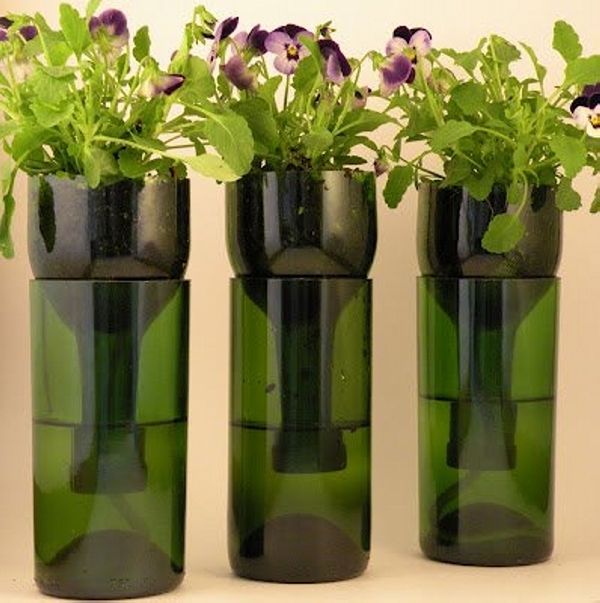 You can turn these ordinary looking glass bottles into countless ingenious ideas making them look like vases, planters and stylish jars. 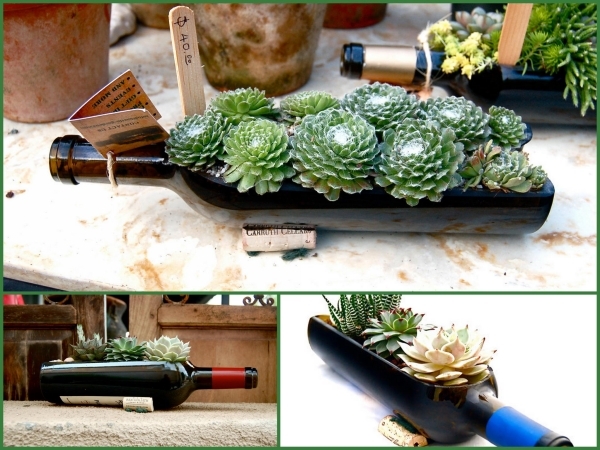 All it takes is your assent and keen interest in the art of recycling and some dumped stuff.